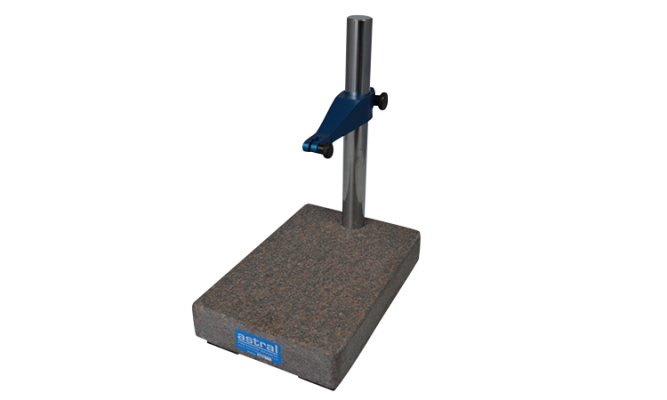 Granite Resurfacing Services - Granite Calibration - Precision Gage Co.
Astral Granite products are manufactured from quality granite with a high quartz content. This offers superior wear resistance and low porosity, meaning it does not absorb high amounts of moisture. This prevents the rusting of gages, ensuring the smooth movement of gages and fixtures along its surface. 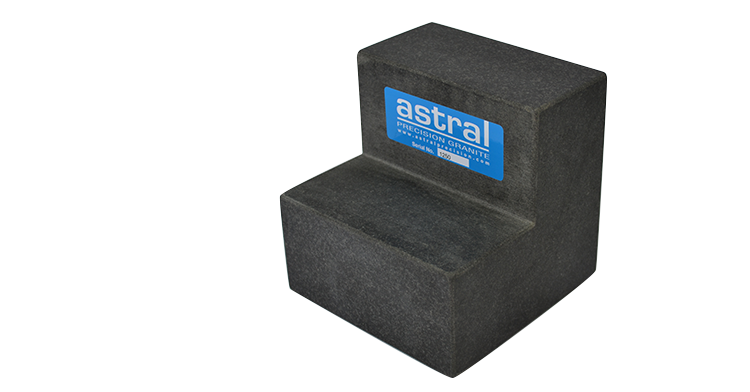 The low coefficient of expansion for Astral Granite products ensures dimensional stability. 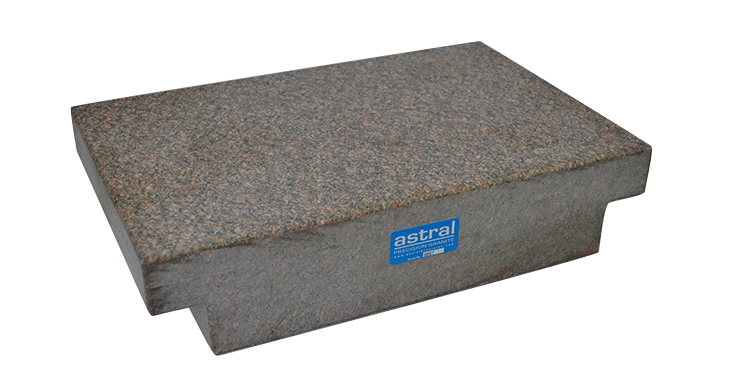 All Astral Granite products have an N.I.S.T. Traceable Calibration Certificate standard. 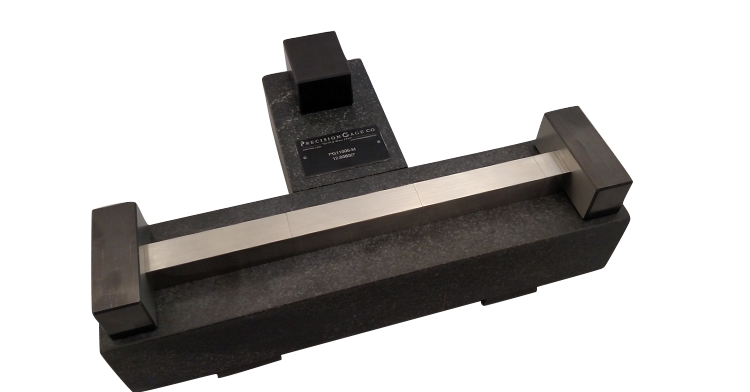 The experts in Precision Gage’s Astral Precision Granite division have decades of experience manufacturing new granite products. This team also applies their signature attention to accuracy and detail to our calibration and resurfacing services. Granite calibration as well as granite resurfacing services can be performed on-site or at our facility. For plates that are more heavily worn, we are able to provide regrind services in-house. We have full design and build capabilities for special granite applications. From simple holes to custom machine bases, we have the experience to make your granite surface to your specifications. As a full-service provider of inspection equipment, we control all the processes. For you, this means turnkey solutions at extremely competitive prices. The granite comparator stand gives the surface plate additional functionality. The added post and mounting bracket transform the surface into a universal measuring tool. 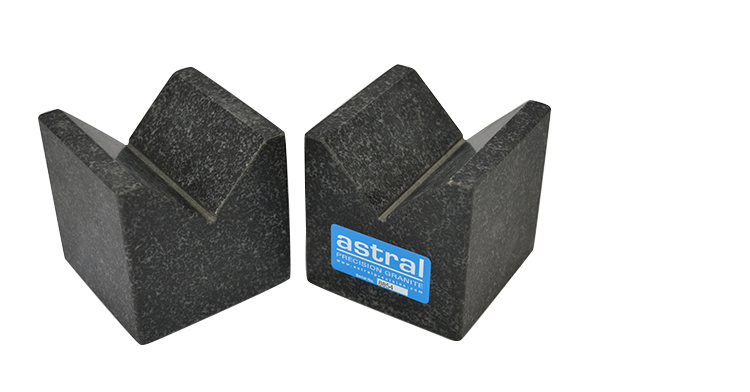 The solid Astral Granite based ensures that extremely accurate measurements can be made. Both Solid and Adjustable brackets are available. The mounting hole is 3/8″, but a split bushing from 3/8″ – 8mm can be provided. Standard sizes are 6″ x 6″ and 8″ x 12″, but custom configurations are possible as well. The Granite Master Square has a single large face, and 4 edges that are ground and lapped, square and parallel to each other. They can also be manufactured with 2 or 3 finished faces, as well. Master Squares are typically used in the calibration of the X, Y, and Z axes of machinery. Granite surface plates provide a base from which accurate measurements can be taken in both shop and laboratory environments. The physical properties of the granite, such as its surface hardness, low thermal expansion, and the tendency to chip vs. dent make it a superior choice over S/B or cast-iron surfaces. Standard and Custom Sizes can be lapped per Federal Specification GGG-P-463c. Color choices include Crystal Pink, Charcoal, and Black Stone. Grade options include AA – Laboratory Grade, A – Inspection Grade, B – Toolroom, or Shop Grade. Stationary or Rolling Stand options are available, both of which follow Federal Specification GGG-P-463c, for support of granite surface plates on three fixed points, minimizing sag and warp. Granite Parallels are available in many standard sizes and special sizes to meet your specifications. Singles and matched pairs are available: straightedges, parallel straightedges, single finished faces, parallel faces, and four finished faces. These can be provided with threaded inserts or steel inserts, in order to be used with magnetic chucks. 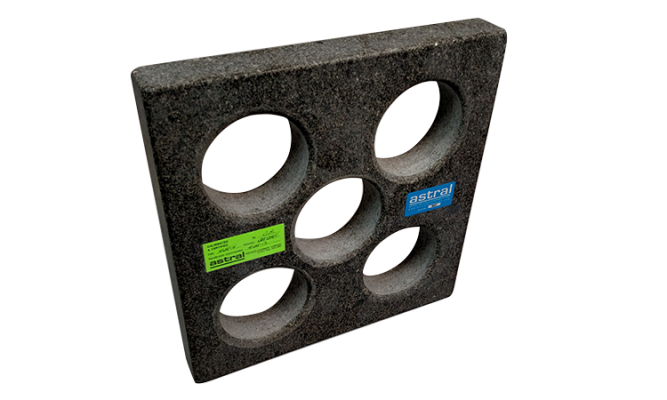 Granite V-Blocks are available in standard sizes or custom configurations to your specifications. The faces can be finished (single, multiple, or all sides), and any item can be provided with threaded inserts or steel inserts, in order to be used with magnetic chucks. 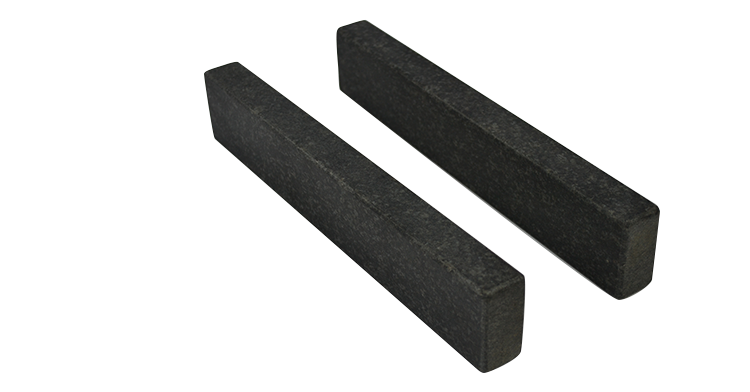 Angle Blocks are available in standard sizes, with either two-faces or multiple finished faces. These items can be provided with threaded inserts or steel inserts, in order to be used with magnetic chucks.